Walk through Kensington Gardens and Hyde Park for a chance to spot the young royals. Then head up north to walk through the tree-lined paths in Regent’s Park and up to Primrose Hill to get a unique view of the city’s skyline. Devour trays of finger sandwiches, cakes and (most importantly) scones with clotted cream and jam with pot after pot of your favorite blend of tea. You will never regret it. 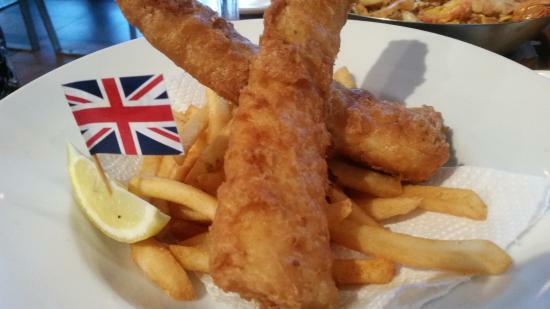 It couldn’t be a traditional British vacation, without a traditional British meal. Walk along the winding river that cuts through the city (and build up a big appetite) then devour a beer battered and fried slice of fish with a side of thick cut chips. A short, but sweet, ride on the London Eye gives you wonderful views of the Thames and all of the classic tourist sights. Check out Big Ben from a new angle and take countless pictures with your friends. Step into the department store wonderland that is Harrods. 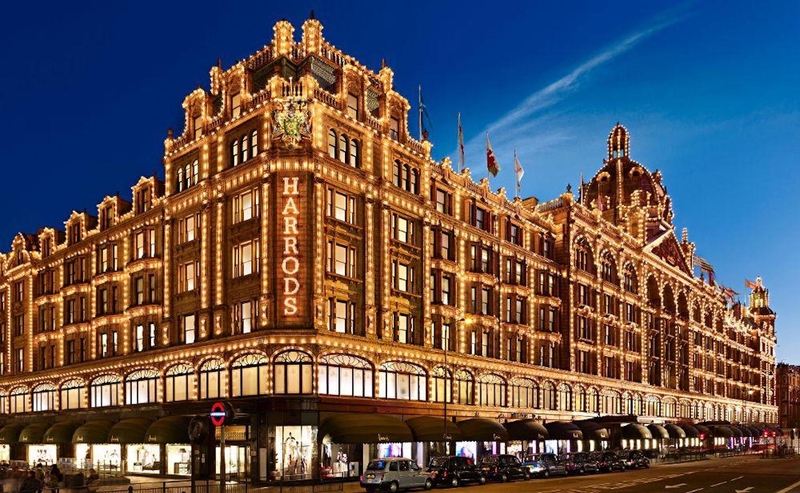 Located in the glamorous Knightsbridge, Harrods beautifully presents and sells every luxury brand item you can imagine. If you are like me and are visiting on a college budget that does not allow for designer handbags, be sure to visit the food hall and purchase some of their delicious tea. London is home to many food and shopping markets including Camden Market, Borough Market, and the Portobello Road Market. London is home to people from all over the world, so here at these markets you are greeted by the glorious smells of all kinds of foods. All of the best plays and musicals come through London’s West End, so be sure to stop by and watch one while you are there! The British Museum is home to countless artefacts from around the world. The Tate Modern promotes various modern art exhibits that push the boundaries that define art. The Imperial War Museums explore conflict from WWI onward. The best part is, almost all of these museums are free to enter! Walk up to Buckingham palace and through Covent Garden to get a flavor for the stately beauty that defines London Architecture. Check out the area around Big Ben, Parliament, and Westminster Abbey to get that classic telephone booth photo. Don’t forget to walk East through the city to check out St. Paul’s Cathedral, Tower Bridge and the infamous Tower of London. 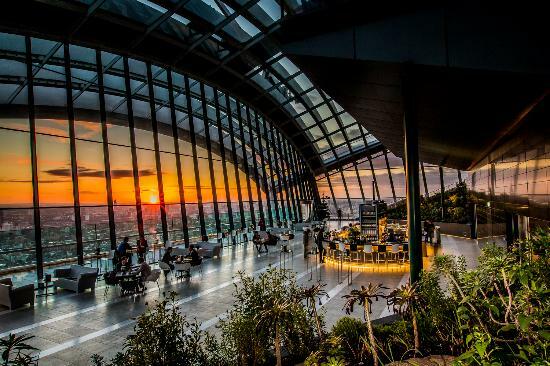 Cap it all off with a drink at the Skygarden bar at the “Walkie Talkie” building where you will find panoramic views of the city and a jungle themed interior. We hope this article gives you a good idea of all of the wonderful things there are to enjoy in London!